Camec 18-20ft Pop Top Caravan Cover - 3 Year Manufacturer Warranty! 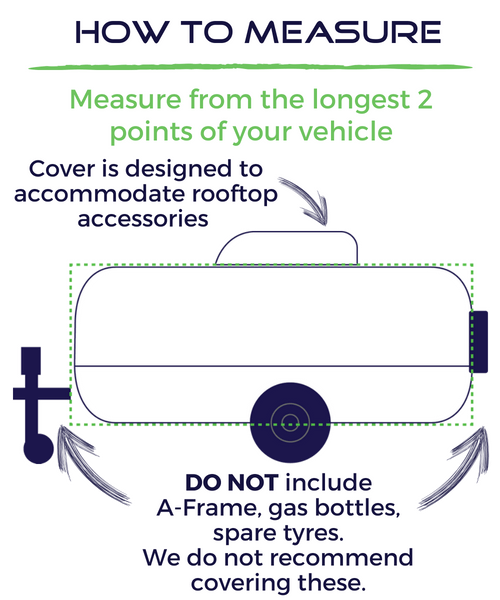 Give your pop top a fresh lease of life with this durable, all-weather Camec pop-top cover. 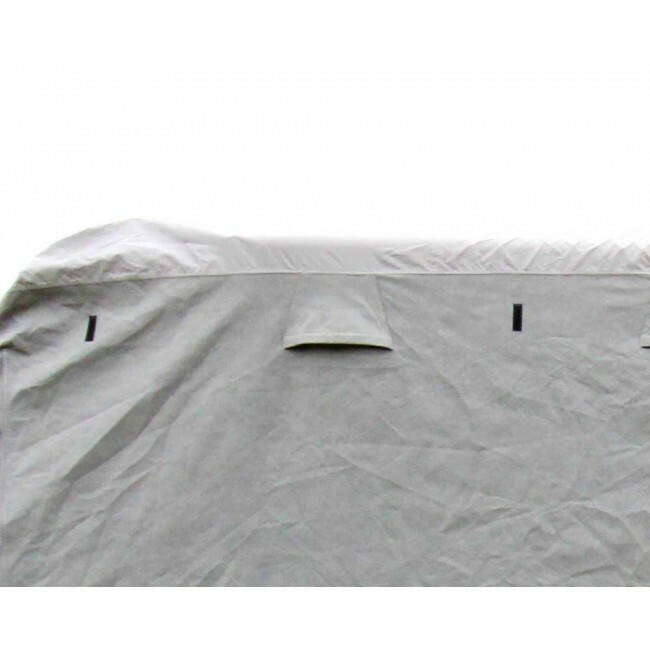 Suitable for large pop-tops measuring between 18 and 20 feet in external length, the cover offers protection from wind, rain, sun exposure, acid rain, industrial pollutants, mould and mildew. 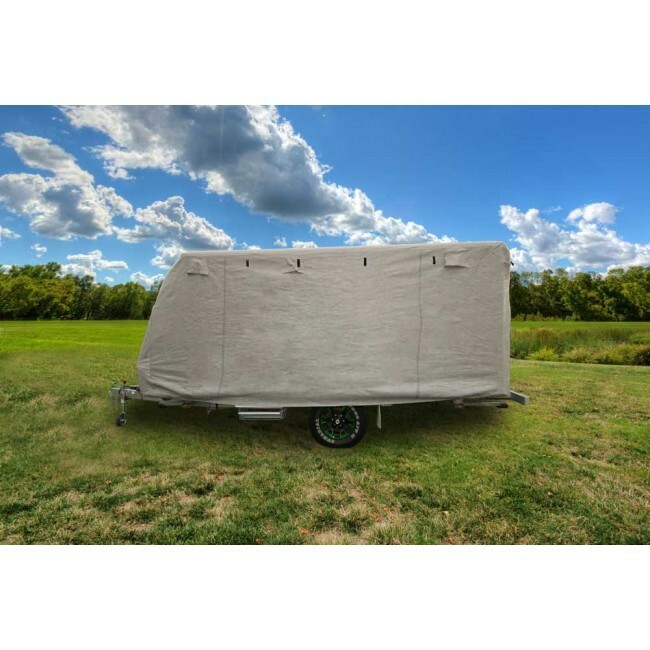 Ideal for pop top caravans that see extended periods of storage, this Camec cover has a 100% waterproof roof section and water resistant sides that together keep your pop-top free from water damage and corrosion. 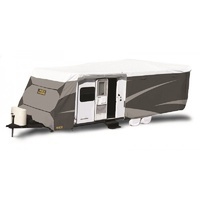 In addition to this, the breathable side panels allow for rapid evaporation of accumulated moisture, preventing mildew and rot from cropping up on the body of your caravan. 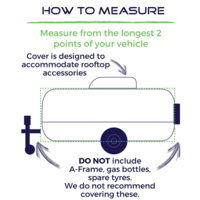 The UV stabilised design of the cover assists in protecting the paints, finishes and interior fabrics of your pop-top. Its practical design is geared towards ease of installation and everyday use. Built of lightweight materials, this Camec cover comes with two dual clip nylon straps on the front and rear faces, which you can use to tighten the fabric around your pop-top and prevent billowing. 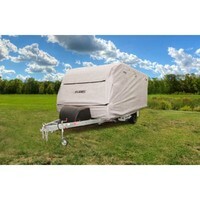 A reinforced skirt protects the base of your pop top caravan, and further improves the fitting of the cover. 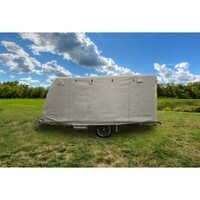 A soft, non-abrasive inner face, and extra reinforced corners with double stitching, are some of the other convenient features of this high quality Camec pop-top cover.